At Hicklin Door Services in Urbandale, IA, we understand how important safety is when it comes to protecting yourself and your family. Be assured that our doors are strong and safe. GARAGA garage doors will keep all intruders away at all times, giving your family tranquility. If one of the pieces on your garage door system has broken or is misaligned, call us and we will send one of our garage door specialist to take care of it. 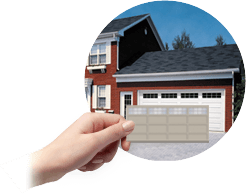 They will fix or replace any parts that require it, and they will make sure you’re provided with the best garage door repair service possible in Urbandale, IA. Installers, technicians and repairmen working at Hicklin Door Services are professional, friendly, and knowledgeable. All their installations are done with precision, and no details are overlooked. For all your garage door inquiries, they do the heavy lifting for you, no matter how big it may be! At Garaga and Hicklin Door Services, we know how important your garage door is for the curb appeal of your home. Knowing your garage takes up around 30% of the outside surface of your house, you will want to make sure the style you pick will harmonize well with the local style of your neighborhood and your own taste. Start your garage door plans now by creating it with our Design Centre! There are so many products on the market today, even when it comes to garage doors, you can get overwhelmed with the various options. 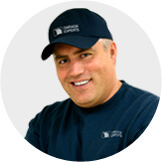 We are here to guide you through your purchase. Here at Hicklin Door Services, we strongly recommend GARAGA garage doors, not only for their great reputation, but also because of their durability and reliability. Our technicians and installers will find the best insulation for your garage door, and show you the practical accessories you can add to it! No task is too big for us, and we make sure your needs are never overlooked! Here at Hicklin Door Services, our customers are our number one preoccupation. We thrive at providing excellent customer service and most importantly, the best products on the market. LiftMaster garage door openers respond to your needs, taste and budget. LiftMaster garage door openers is the best brand in the country. Everyone in the business, who know garage doors well, strongly recommend it. It’s known for its safety, efficiency and durability. Additionally, with its latest Internet technology, you can control your garage door’s operation with just a touch of a button, on your smartphone, digital tablet or computer, no matter where you are in the world. It’s important to remember that your garage door will need maintenance once in a while to make sure its operating system is running safely and smoothly. After years of experience and hundreds of installations done with expertise and precision, we can guarantee you that they know their garage doors and everything revolving them more than anyone in the business. If you want the best service, the best quality of work and a professionalism that exceeds expectations, our employees are the best to advise you!